Nara, Japan - In April 2018, ATOUN Inc. (headquarters in Nara City, Nara Prefecture, President: Hiromichi Fujimoto, hereafter referred to as "ATOUN") will begin selling the all new Power Assist Suit for the hip (*1) "ATOUN MODEL Y," which is 40% lighter in weight (*2) than the current model (*3). ATOUN developed the new "ATOUN MODEL Y" by reexamining the design and control from scratch based on user feedback of the current model, and also successfully reduced weight by 40% by replacing the metal frame with one made of resin, and making the motors and batteries more compact. At the same time, the development team also made efforts to commoditize components used and simplify the assembly process to significantly curtail costs, thereby making the power assist suit more affordable and accessible. The current model is being used at construction sites, logistic centers, factories, and farms, and based on the know-how gained in these fields, ATOUN has made numerous improvements in accuracy and durability. As a result, the new "ATOUN MODEL Y" boasts a better fit, smoother movement, and higher mobility. And to put these new features to good use, ATOUN will propose the application of this suit in caregiving. Before this product is introduced to the Japanese market, the new "ATOUN MODEL Y" will be introduced on a trial basis overseas. A memorandum of understanding has already been signed with a major construction company in Hong Kong, Gammon Construction Limited, and the company will be conducting trials with 10 suits beginning in February 2018. 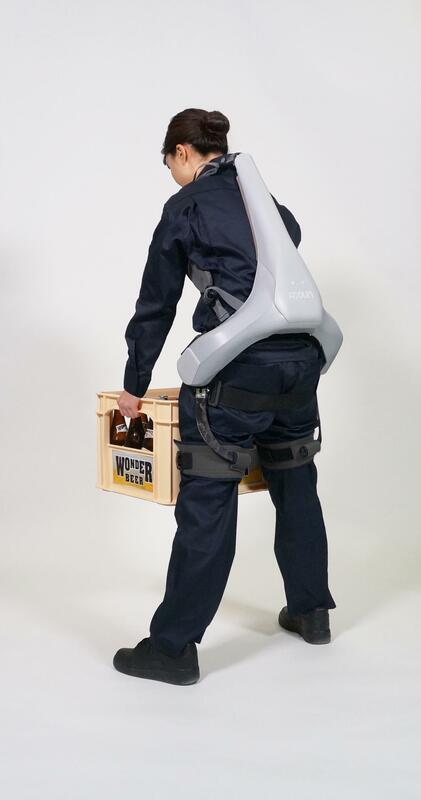 According to CEO Thomas Ho of Gammon Construction Limited: "By using the exoskeleton technology, we aim at improving construction health and safety as well as working conditions and competence." Pre-orders for the ATOUN MODEL Y began on December 21, 2017. An assistance robot designed to be worn by the user. Location sensors detect the body's core movement and the motors on the hip turn in synch with the intended movement to reduce the burden on the hip. "ATOUN MODEL A" (current model) weighs 7.4kg in total, while the new "ATOUN MODEL Y" only weighs 4.4kg in total, equivalent to 40.54% in weight reduction. Power Assist Suit for the hip, the "ATOUN MODEL A." Introduced to the market in fall 2015. Established by using in-house venture system of Panasonic in 2003. 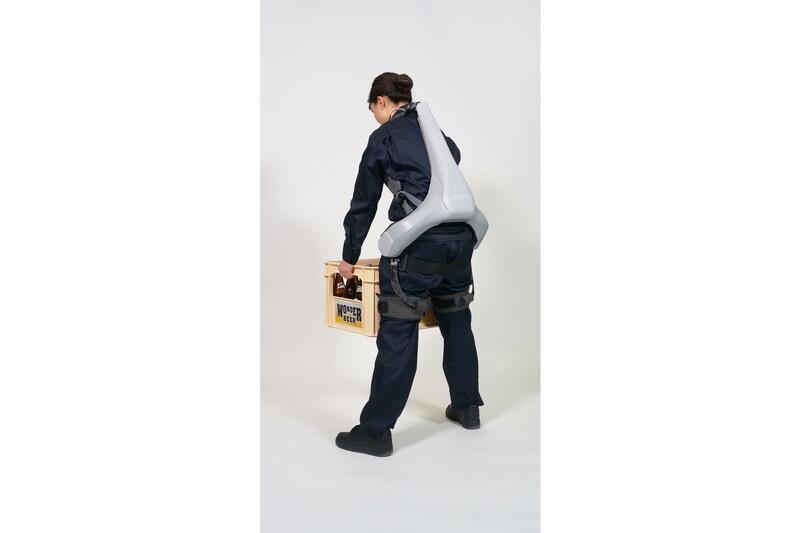 ATOUN creates a new value and possibility to all workers by providing power assist products such as wearable robot "Power Assist Suit". ATOUN aims to achieve "Power-Barrierless Society" where the people can work regardless of their age and gender. New Power Assist Suit for the hip "ATOUN MODEL Y"